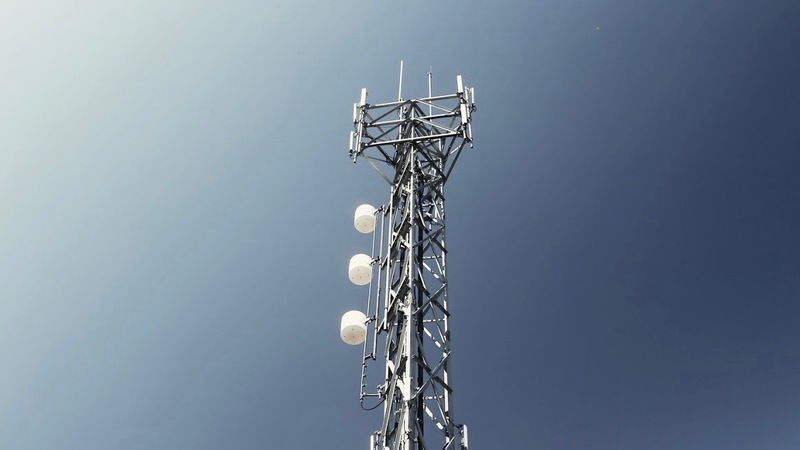 Rising demand for mobile data usage as well as the coming deployment of 5G networks, among other trends, have spurred the deployment of both temporary extendable tower systems and permanent fixtures. According to RCR Wireless News, there could be over 200,000 of such towers in use in the U.S. by 2025. To meet these demands and deploy the next generation of telecommunications towers, infrastructure companies must leverage the most reliable rigging products on the market to ensure both the safety of their employees and the security of the towers they are deploying, whether they are being fixed and guyed permanently or hoisted temporarily. New hardware is transforming the telecommunications industry, and the deployment of 5G networks is set to be a global endeavor and one of the largest technological infrastructure upgrades ever initiated. Companies actively engaged in the deployment of that infrastructure will need the highest-quality, state-of-the-art hardware and rigging products available. 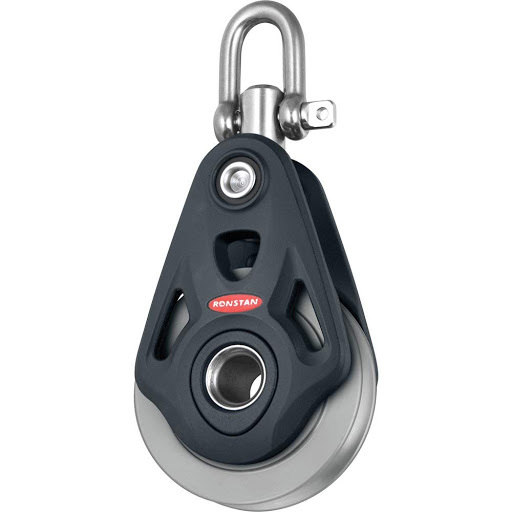 The strongest rigging products on the market today have been tested in the most difficult environments, such as the sea, and are load rated to work seamlessly with designated sizes of loads. Load rated products are crucial for the telecommunications industry. Designed to carry up to a specific load, they are more reliable from a safety perspective and are often essential for meeting building and construction codes. Such codes are often applied whether a company is erecting a new housing complex of the next generation of cell phone towers. Block and pulley systems can be used to deploy temporary towers. In particular, the Ronstan RF74100 can be used to deploy towers from a resting horizontal position to a functional vertical position. 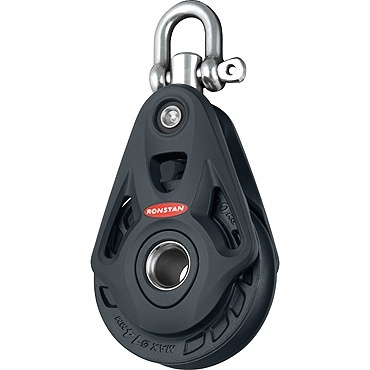 The Ronstan RF74100 is also available with an anodised aluminum sheave. 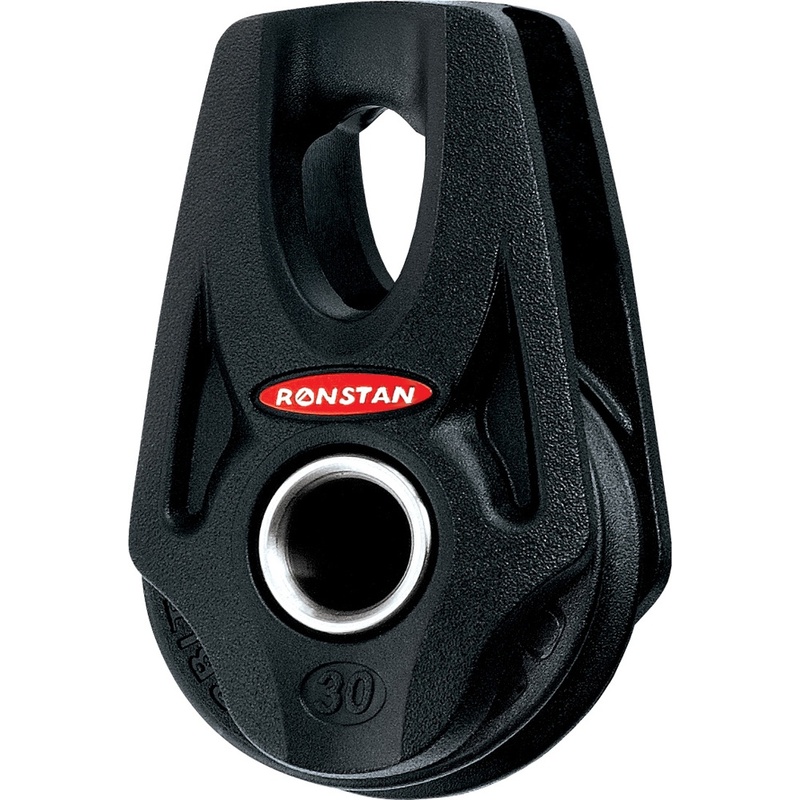 The Ronstan Series 30 pulley can be used for extendable, telescopic tower systems. This product is used for smaller stayed towers only, but larger pulleys with larger diameter wires can be used for larger towers. Each section has a Ronstan Series 30 pulley that a wire turns 1:1 (one-to-one) at 180 degrees. Each section is raised from the bottom up as the tower telescopes out to full deployment. Both Ronstan products are ideal for creating a quick-deploy system for small telescopic and cantilevered towers. They can also alleviate movement at the top of the tower and facilitate better performance overall. Dyneema® Ocean 5000 can replace wire rope in most applications with its superior strength to weight ratio and easy handling. 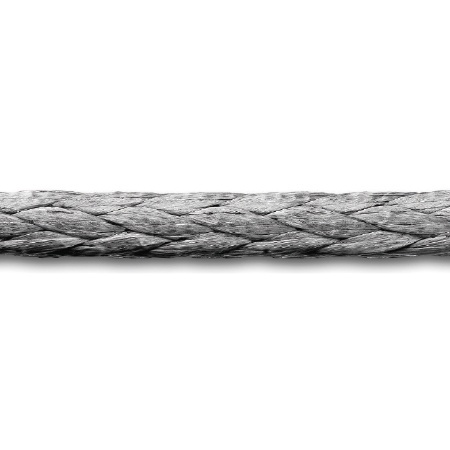 Industrial-strength fiber ropes like Dyneema® Rope provide an effective alternative to steel cable. Not only is it fifteen times stronger than steel, it’s easier to handle because of its light weight and can reduce friction during the deployment process. Dyneema® is non conductive, has a long lifespan, is water resistant, and is much safer to handle than steel cable or steel wire rope. If you are in the telecommunications industry and your company needs new solutions for deploying small, temporary telecommunications towers, look no further than Ronstan Industrial products. After years of serving the marine and tensile architectural industries, testing our rigging products in the harshest environments, we’ve developed hardware specifically designed to withstand the rigors of mass deployment in the telecommunications industry.